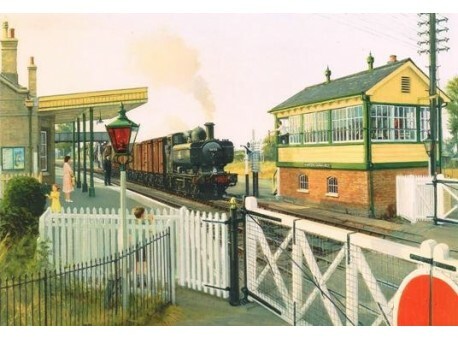 “Freight train at Martock” by Robin Pinnock. print size is approx 15”x12”. Ex GWR Pannier tank no. 4656 passing through Martock on its way to Yeovil, the signalman is holding the single line totem, which allows the crew of the train to proceed. 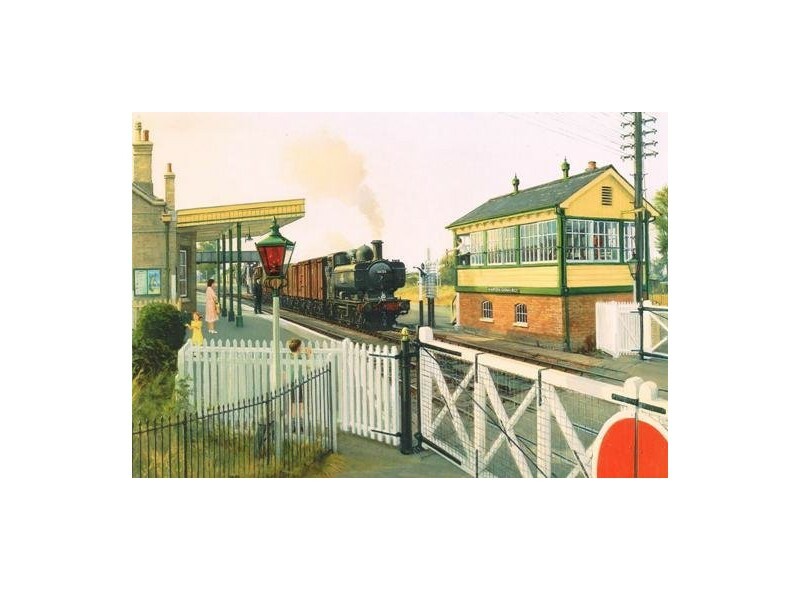 The quaintness of this little Somerset station has now long gone, but perhaps the little lad behind the wicker fence can still remember these lost moments in time. This print is the second study of Martock, the previous picture ”Martock Memories” has long sold out.